Various bands and solo artists are to devote a night of music and giving on November 30 for the thousands of calamity victims displaced from homes and grieving over lost loved ones. Aftershock is a benefit concert initiated by the Office of Senator Joseph Victor G. Ejercito and the City Government of San Juan in partnership with Oplan Kaagapay of the Junior Chamber International Philippines (JCIP) and JCI San Juan Pinaglabanan. The concert aims to raise funds for the relief and rehabilitation of areas devastated by monster storm Yolanda in Visayas, damaged by typhoon Santi in Central Luzon, hit by the magnitude 7.2 tremblor in Bohol and Cebu, and affected by the Zamboanga City siege. The roster of performers set to play for the fund-raiser are True Faith, Shamrock, Mojofly, Orient Pearl, Nexxus, Alamid, Soapdish, Paolo Santos, Luke Mijares, Filipinas Band, Sheree, Karla Estrada, Alvin Anson, Aia of Imago, The Dawn, Moonstar88, Noel Cabangon, Giselle Sanchez, Cesar Montano, Cookie Chua and many more. Surprise guests from television networks and different recording companies are also united for this selfless cause. Aftershock will be held on November 30 at San Juan City’s Fil-Oil Flying V Arena. Tickets are available at Ticketnet (call 911-5555). 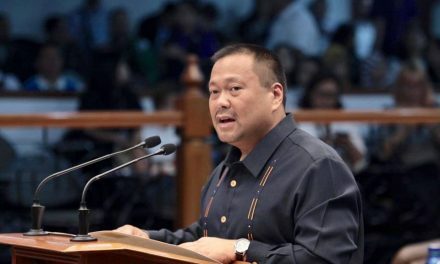 JV EJERCITO: JUSTICE FOR LAUDE! INVESTIGATE PEMBERTON!